Booth 54, Where Are You? This coming Saturday, May 19th, from 9am to 5pm, Feral Fixers will be hosting Booth #54 at the West Chicago BloomingFest 2012 event. Details about this event are in this month's eNewsletter and the headline story on our Home Page. You can download a flyer about the event here and a map of the event here. 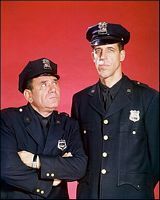 (With apologies to officer's Toody and Muldoon, we are borrowing their title track, "Car 54, Where Are You?" for this post.